Olympus Mons is perhaps the largest volcano in the Solar System. 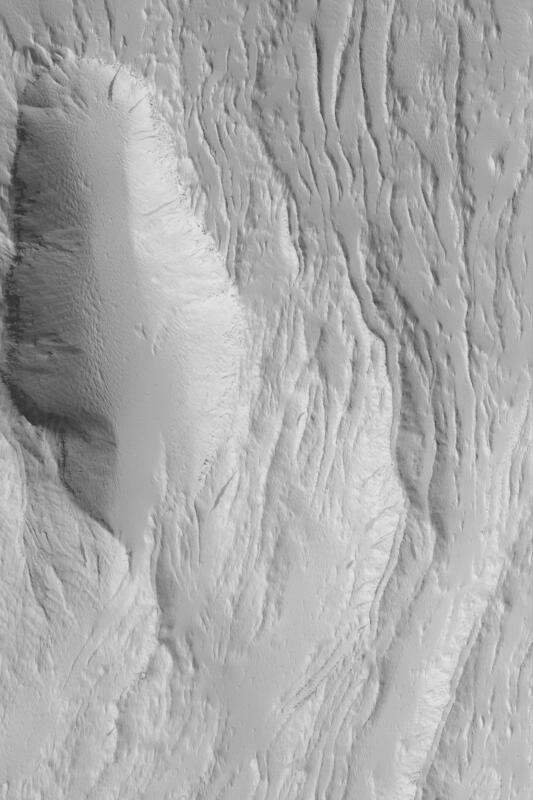 It towers to more than 20 km above the martian datum--the elevation of 0 km--and it is wide enough to stretch east to west across the U.S. state of Arizona. 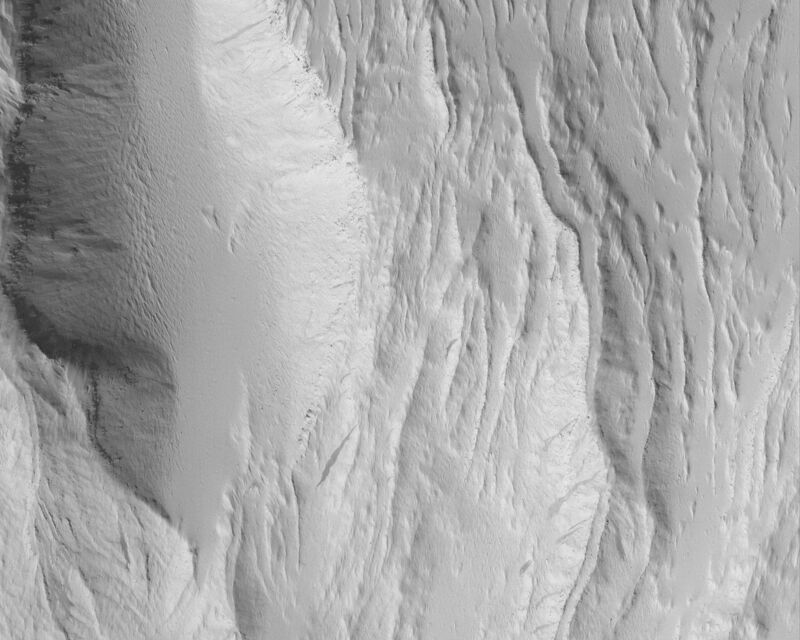 This August 2003 Mars Global Surveyor (MGS) Mars Orbiter Camera (MOC) image shows some of the lava flows and leveed lava channels on the southeastern flank of Olympus Mons. 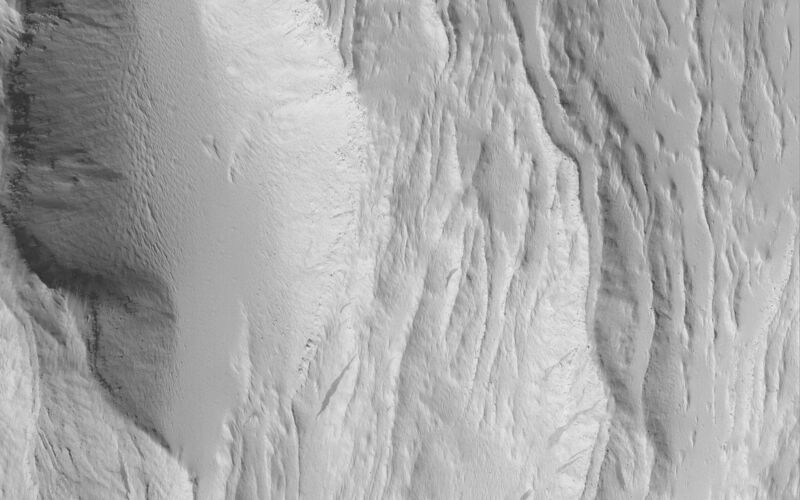 These flows have been covered by a thick mantle of dust. 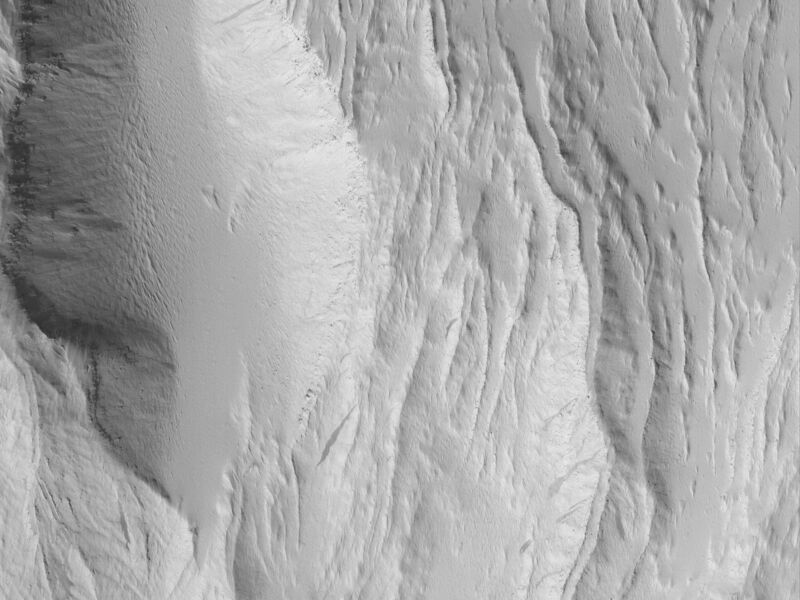 The image is located near 14.4°N, 132.0°W and covers an area 3 km (1.9 mi) across at 1.5 m (5 ft.) per pixel. The scene is illuminated from the lower left.